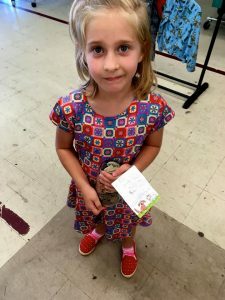 Juliet Ellis, who may be Project Safe’s youngest donor ever, made a surprise visit to Project Safe Thrift yesterday to drop off the proceeds from her private fund-raising campaign, called Juliet’s Charity Jar! 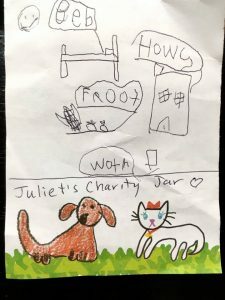 The drawings she made for her collection jar are captioned “house, roof, bed and water,” which she believes everyone should have. When asked why she started her campaign and chose Project Safe as the recipient, she replied, “I just wanted to do it.” Her mother explained she’d taught Juliet that everyone can contribute in some way, no matter their age or their means. Juliet warmed the hearts of everyone who was in the store! Thank you, Miss Juliet! You are an inspiration to us all! 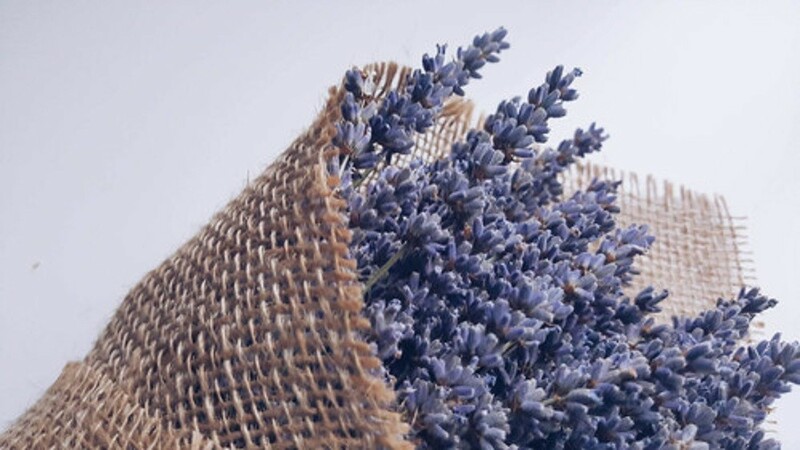 Your hard work goes to a great cause!